Catrina Murphy is a Certified Public Accountant with over 15 years’ experience in financial management, program management and accounting. Ms. Murphy has worked both within the federal government and the private sector. Her key areas of focus over those years have been with auditing, financial reporting, improvement of financial operations, and implementation of financial systems. Ms. Murphy is currently a Department of Defense Program Manager overseeing a funds distribution system. Her responsibilities include the management of the program staff, budget, schedule, and system performance. Ms. Murphy holds a Defense Acquisition Workforce Improvement Act, Program Management Level III certification from the Defense Acquisition University. Ms. Murphy earned both her Bachelor of Business Administration and a Master of Business Administration from the College of William and Mary. She strongly believes in the value of education. Through her volunteer work and community involvement, she strives to help encourage youths and to help enhance their learning environments. Ms. Murphy is from Troy, VA but currently resides in Bowie, MD where she has lived for 12 years. She and her husband, Joe, are the proud parents of two fun and exciting boys, Joe Jr. and Joshua. 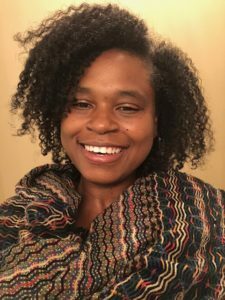 Chiquita Martin McCoy is a teacher and lifelong learner whose career in education spans 18 years. During her career, Chiquita has had the distinct honor of serving children and families in grades K - 12 as a teacher, educational advocate, mentor teacher, university research associate, school administrator, state administrator and policy advisor. Chiquita began her career as a special education teacher in Prince George’s County Public Schools. She later taught in nonpublic day schools and was an adjunct professor with The George Washington University, Gratz College and The College of New Jersey. To date, Chiquita has returned to the classroom as a learning specialist and coach to support students and teachers in becoming their best selves in academics, instruction and life. Chiquita is a graduate of the George Washington University and holds a Master’s degree in Teaching Students with Emotional and Behavioral Disabilities. Dr. Gresham’s primary research interest pertains to the overrepresentation of minorities in classrooms for students with special needs. To that end, he created "The Gresham Survey" to quantitatively assess the perceptions of general educators about the overrepresentation of elementary aged African American males identified as having an emotional disturbance. Since 2005, this tool has been modified so that it might also include the voices and opinions of administrators. The purpose of this research is to shed light on to this chronic institutionalized civil rights issue, which leads to systemic poor outcomes for students of color. In 2015, Dr. Gresham published a collection of essays and interviews called Why the SUN Rises: the faces and stories of women in education. This interesting and vibrant work was co-written and edited by Dr. Gresham and helps to reveal why women in education return to work with and advocate for their students day after day. 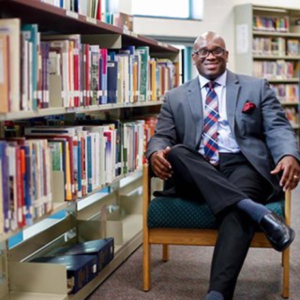 Prior to joining the faculty of the George Washington University, Dr. Gresham worked for 5 years as a Master Educator and 1 year as a Senior Master Educator with the D.C. Public Schools system. In this capacity, Dr. Gresham and an elite group of content specialists from the IMPACT team evaluated and supported each teacher in the district using the Teaching and Learning Framework (TLF). In 2004, 100 Black Men of Greater Washington, D.C. recognized Dr. Gresham as their Elliott Hair Man of the Year for his work in helping to create the Saturday Leadership Academy, which exists today as a group based mentoring platform that provides mentees with opportunities to form healthy connections with positive minority male professionals. In 2015, the George Washington University recognized Dr. Gresham by presenting him with the Rita Ives Award, which is given to one person in the field of special education who has shown exemplary progress in advancing the lives of students with special needs. Aneisha Ceesay is an Immigration Lead HR Coordinator for an IT Staffing company. Mrs.Ceesay works with Fortune 500 companies as well as small local companies on coordinating top talent for temporary to permanent positions. Her key areas of focus are H1-B and Green card processing, benefits administration, and on boarding new divisions. 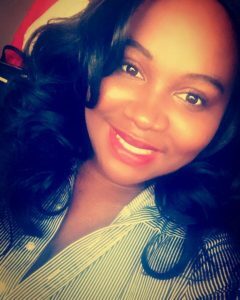 Mrs. Ceesay is a continuing education student at University of Maryland studying Human Resources Management and is currently certifying her SHRM certification. As a single mother of two daughters, she believes that being a constant presence in education will nurture and grow successful scholars. Mrs.Ceesay currently sits as the PTO president of Heather Hills Elementary School in Bowie, MD and is a current member of the Mocha Moms - Southern Prince George's County Chapter. She believes that the uniting of parents through engagement and support can also help produce a successful school. Mrs.Ceesay is from Laurel, MD but resides in Upper Marlboro, MD where she has lived for the past ten years. She is the proud single parent of two lovely girls, Nahla and Zairah. Levonia Wiggins is a Mortgage Banker at SunTrust Mortgage, Inc., serving the Washington, DC Metropolitan Area. He is a graduate of Tuskegee University (BS) and George Washington University (MBA). Levonia has over 20 years of direct sales and business development experience in various industries – commercial building systems, wireless communications, and consumer financial services. He has posted successful sales performance while exceeding company, team, and individual goals. In his current role he enjoys, and is passionate about, helping his clients reach their financial goals through homeownership. Levonia resides in Bowie, MD with his wife, Portia, and sons Miles and David. Levonia is a Life Member of Alpha Phi Alpha Fraternity, Inc. and a member of the First Baptist Church of Glenarden. 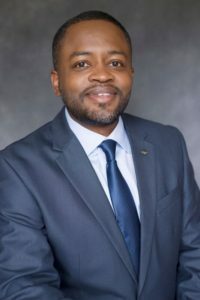 Outside of time with family and work, he enjoys social and networking events in the DMV and working on real estate development projects with colleagues.